RIDGID introduces the 18V OCTANE Lithium-Ion Cordless Brushless Reciprocating Saw with 18V OCTANE 9.0 Ah Battery Kit. OCTANE Tools feature high performance brushless motors and advanced electronics, providing best-in-class power and intelligence. This tool delivers up to 80% faster cutting and 65% more power in high demand application. With registration, this tool, battery and charger are backed by the Industry's Only Lifetime Service Agreement. 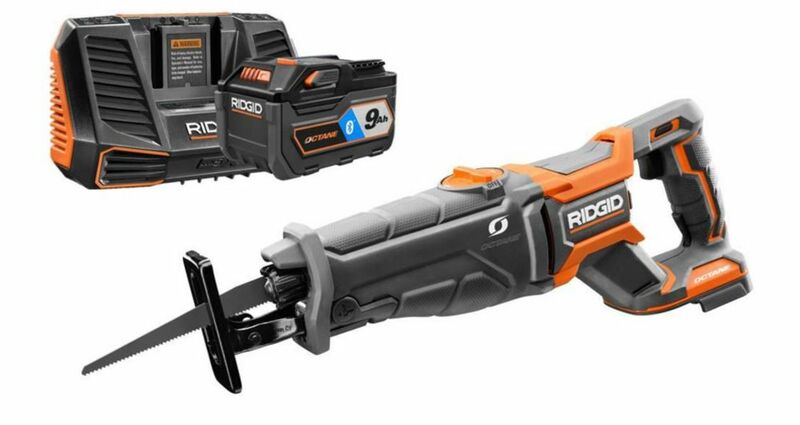 18V OCTANE Brushless Reciprocating Saw Kit with 9.0 Ah Battery and Charger RIDGID introduces the 18V OCTANE Lithium-Ion Cordless Brushless Reciprocating Saw with 18V OCTANE 9.0 Ah Battery Kit. OCTANE Tools feature high performance brushless motors and advanced electronics, providing best-in-class power and intelligence. This tool delivers up to 80% faster cutting and 65% more power in high demand application. With registration, this tool, battery and charger are backed by the Industry's Only Lifetime Service Agreement.